When it comes to enhancing your professional graph in Salesforce, online courses offer a great value-added experience. When there are plethoras of online learning platforms for the high-in-demand CRM technology – Salesforce – it is vital that one chooses the best platform for most effectual results – in terms of remuneration and job satisfaction. Trainees who are considering spending money on e-learning platforms must understand certain factors that will help them take a better decision about which platform to join. Comprehensive course material, industry-expert, highly experienced faculty, round the clock faculty support, real-time projects experience, lifetime access to course material and videos, job placement assistance, and certification guidance are primary key features that any reputed online learning platform should offer. Platforms Intelogik is ruling the roost and drawing huge trainee traffic towards them for their interactive, advanced courses in technology skills. Udemy has acquired a place in the top rung in global marketplace for online learning. Udemy is popular as it offers over 80,000 courses across a large range of categories at a very low pricing. But popularity of this online platform does not validate the high-quality of its course content, presentation and live-support. There are certain points that must be considered before you enroll with Udemy as Udemy at specific spots falls short to meet the satisfactory standard for a trainee looking for cent percent knowledge contentment. The courses available for virtual learning on Udemy are of very short duration and do not delve deeply into the subject. The low pricing or fee certainly attracts traffic but the content quality and depth are compromised. For a satisfying knowledge enhancement experience, trainees look forward to learning through Live sessions wherein an experienced instructor teaches the subject online sitting at a far away place. This way the trainee can address his/her queries on the spot to the instructor and get them resolved there and then. In a Live Learning Session, the instruction or the lesson is navigated according to the comprehension capacity of the candidate. If the candidate needs further clarifications and explanations, then he/she can simply ask for them and his/her requirements can be instantly met. But with pre-recorded or filmed video training sessions by Udemy, candidates have no choice but to listen to what is playing for them. In case they have queries, they can not address the queries and their doubts pile up without resolution. This is a major drawback of e-learning sessions with Udemy. Online courses at Udemy are designed and created by anyone who claims to have basic knowledge about the course. Anyone can register and create course content and upload video on Udemy. Candidates do not get assurance of being taught a lesson by any industry expert or any one who has a considerable amount of experience in the related course. While in Live Learning courses offered by platforms like Intelogik, only highly-proficient, certified and richly experienced Instructors teach the subject. They clarify doubts of the candidates promptly and get involved in doubt clearance from time to time. Just because the online courses at Udemy can pre-filmed and recorded, so the candidate is not able to avail the facility of Live Instruction Support, doubt clearance or query solution. 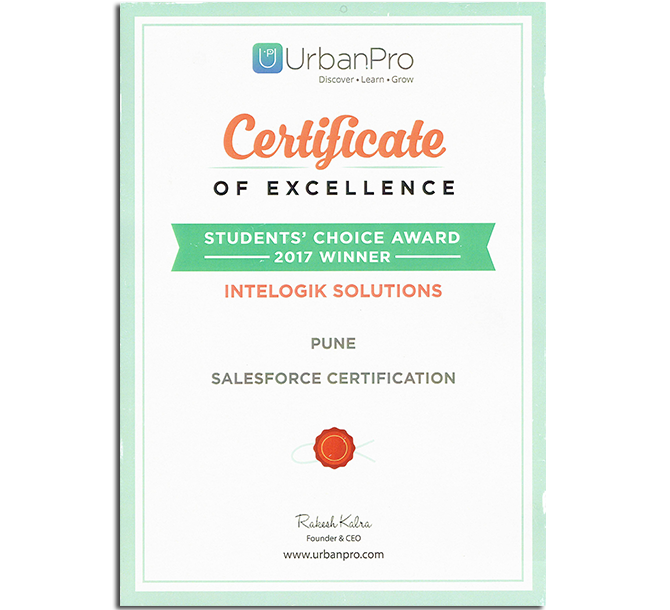 Then there is also no round the clock support as one gets in Live E-Learning Sessions by Intelogik. When candidates indulge in hands-on training and real-time case studies, they come across issues and queries, they need guidance by an expert mentor to proceed smoothly. With pre-recorded videos at Udemy, candidates do not get the much needed guidance in hands-on training. A Live training program gives an in-depth knowledge with a comprehensive course that includes lots of examples, real-time case studies and practical projects. The short-duration courses at low price at Udemy fall short of quality in these aspects. In certain review columns about Udemy, candidates mention their woes regarding Udemy not providing with any contact phone numbers where they can address their issues, complaints and queries. While enrolling trainees face issues like payment errors, change of log in id, password, refunds, etc, they don’t get prompt response for resolution. The mail is not reverted and no response is given on the tickets raised by potential clients or trainees or sometimes even instructors who wish to upload a course content. What is LIGHTNING DATA SERVICE ?